Lenovo on Monday officially unveiled the Moto C and Moto C Plus, two of the most affordable Moto smartphones ever conceived (and the subject of multiple rumors as of late). 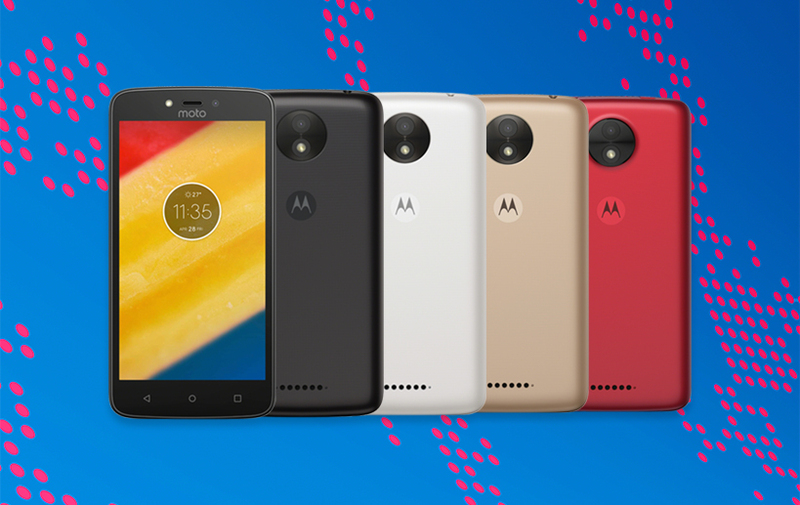 The entry-level Moto C features a 5-inch display with a resolution of 854 x 480 pixels that’s powered by a quad-core MediaTek processor alongside 1GB of RAM and up to 16GB of local storage (expandable via microSD card slot) as well as a 5-megapixel rear-facing camera and a 2-megapixel selfie shooter. The slightly beefier Moto C Plus includes a 5-inch, 1280 x 720 panel, a quad-core MediaTek CPU mated to as much as 2GB of RAM and 16GB of built-in storage (again, expandable via microSD slot). This model includes a higher-quality 8-megapixel rear shooter, a 2-megapixel camera up front and a sizable 4,000mAh battery (the smaller Moto C only comes with a 2,350mAh battery). Both handsets will ship running Android 7.0 and be offered in your choice of red, white, gold and black. Pricing starts at an incredibly affordable €89 (just under $100) for the Moto C 3G with 1GB RAM and 8GB of storage (the 4G variant will command €10 more). The Moto C Plus, meanwhile, starts at €119 (around $130) with 1GB of RAM and 16GB of storage. Look for them to arrive later this spring. The only “issue,” if you can call it that, is that Motorola / Lenovo doesn’t appear to have any immediate plans to bring the devices to the US. In announcing the handsets, only Latin America, Asia Pacific and European markets were mentioned.